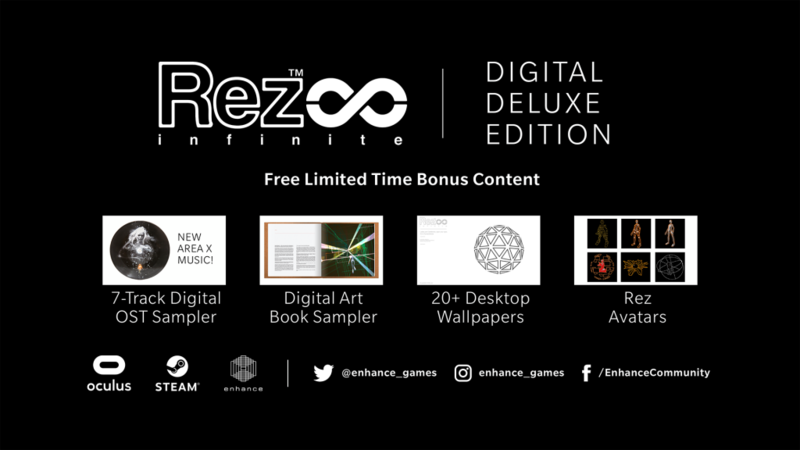 Until August 23, 2017 we’re offering free DLC with purchase of Rez Infinite on the Steam and Oculus Stores! 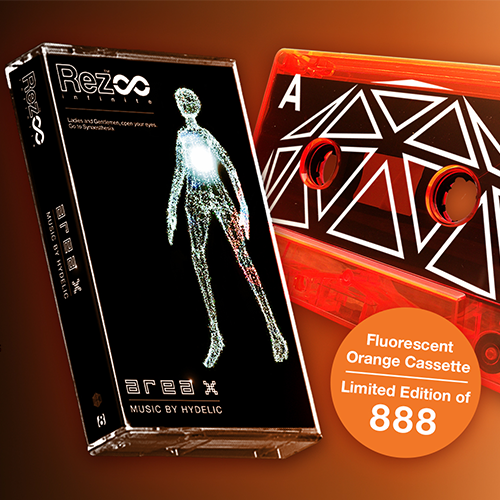 The soundtrack contains all original Area X tracks by Hydelic, and is also available as a SUPER LIMITED EDITION cassette tape from our friends and collaborators at iam8bit. 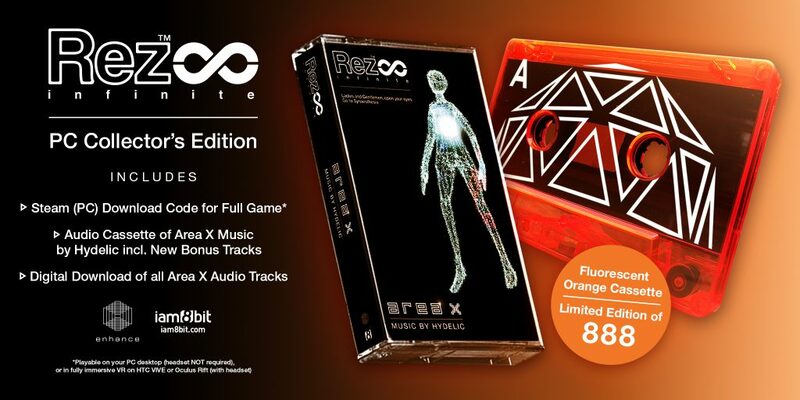 Four new and never released bonus tracks are included with this release (and comes with Digital Deluxe Edition DLC too).